Successful pop singer, Gwen Stefani, has confessed it took her five months to lose her baby weight after giving birth to her son, Kingston. In an American radio interview she told KIISM FM's Ryan Seacrest: "Let's just talk about how hard it's been. It's been really hard trying to get rid of that baby weight. "It's almost down. It's almost gone. The aftermath...you know what I mean. I'm still nursing, so I'm just doing...eating healthy. I cheat every day, at least once!" Making it clear she wanted to get back to the music as soon as possible, Gwen Stefani spoke about her next single, Wind it up, which includes a sample of The Sound of Music's Lonely Goatherd. "It was a dream of mine to put The Sound of Music to a beat, because it's my favourite movie," said Gwen. Gwen also spoke of her upcoming tour in April 2007, and how she wanted Kingston to come with her. "I'm excited to go out there and have the baby on the outside," Gwen said, who announced her pregnancy during her last tour. 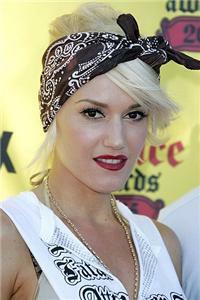 Clearly enjoying motherhood, Gwen gushed openly about her new son: "He's the greatest thing in the world. There was no transition. It was just like, 'Where were you?'"